(Bloomberg) -- The head of Deutsche Bank AG in the Nordic region says he expects a “large number” of buyouts this year, with volatility forcing quick deals in a market that’s likely to favor bidders with plenty of cash. Olsson pointed to BlackRock, Fidelity and Canadian infrastructure funds as examples of the kinds of international buyers that will start to dominate the scene, with BlackRock in particular emerging as one of the biggest corporate owners in the Nordic region. 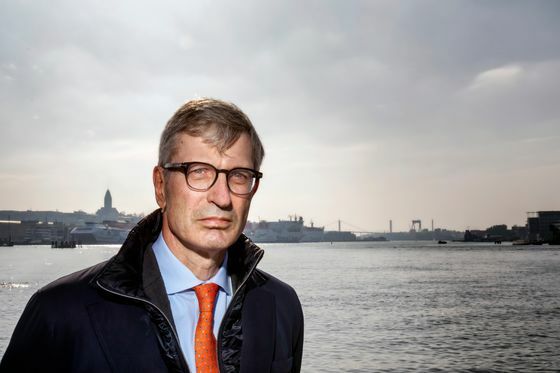 He also hinted that the development marks a shift in which some of the region’s biggest investors, including Sweden’s Wallenberg family, may see their supremacy receding a little. “It’s clear that professional funds that are taking capital from a third party are becoming larger and more important,” he said. “In volatile markets, it’s time for quick deals. Buyers must grab opportunities as they see them,” he said. The industries most likely to be targeted are health care, energy and technology, according to Olsson. Deutsche Bank was involved in several key deals in the Nordic region last year, including the buyout of electronic payments firm Nets A/S and the takeover of Danish phone company TDC A/S. Like Danske Bank A/S, Deutsche has been the target of high-profile money laundering investigations that threaten to alienate clients and investors. Olsson declined to comment on the case beyond saying that “image and brand name are important” for business. Last year, the bank’s share price slumped about 56 percent, as money laundering allegations joined a list of investor concerns about Deutsche’s future. Successive chief executives have pushed through restructuring plans to try to address lost revenue and the German government is said to be looking into merging Deutsche with Commerzbank in the hope of creating a strong domestic lender. Olsson says a bright spot for Deutsche is its focus on transaction banking, which covers everything from liquidity management to looking after a client’s daily operational needs.